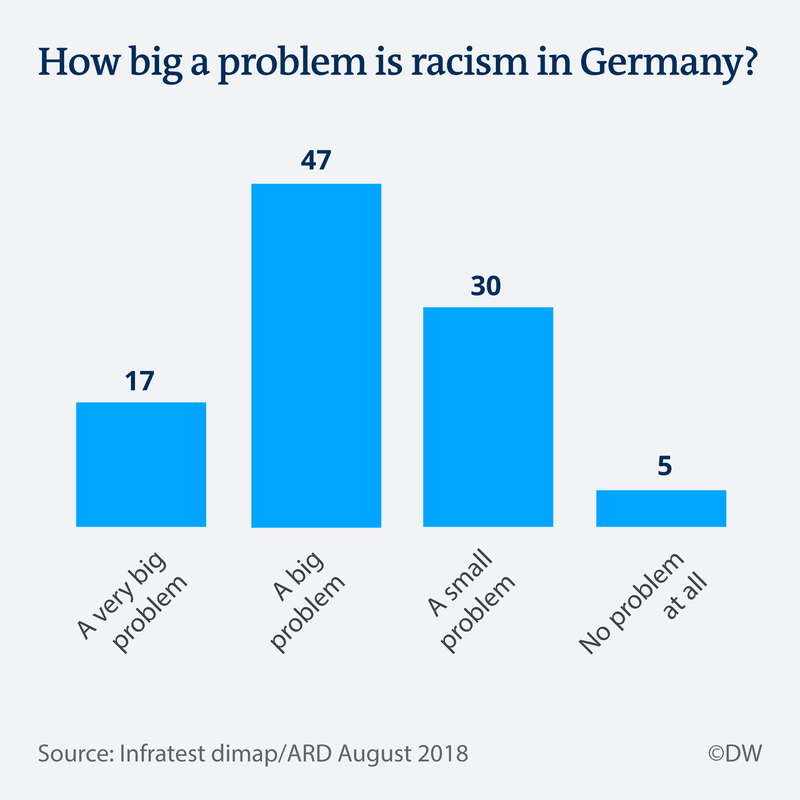 More than half of Germans surveyed in a monthly poll classify racism as a major social ill. At the same time, those polled say social issues are more important than asylum and refugee questions. German society is still struggling with racism. That’s one of the major conclusions from the Infratest-Dimap “Germany Trend” poll for August, which was released on Thursday evening. When asked their opinion on the issue, 64 percent of people said that racism was either a “very big problem” (17 percent) or a “big problem” (47 percent). 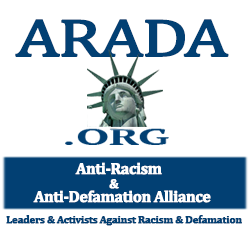 Some 35 percent of respondents said that racism was either a minor problem or not a problem at all. That opinion prevailed across the political spectrum with the lone exception of supporters of the far-right Alternative for Germany (AfD), only 37 percent of whom saw racism as a big or very big problem. Supporters of the Greens (77 percent), the center-left Social Democrats (77 percent) and the Left Party (73 percent) were more likely to rate racism as a serious social blight than those of the conservative CDU/CSU (59 percent) and the business-friendly Free Democrats (57 percent). Interestingly, people with immigrant backgrounds were only slightly more likely (68 percent) to see racism as a major problem than those without immigrant backgrounds (63 percent). And people from formerly communist eastern Germany were more prone (71 percent) to rate racism as serious than those from the west (62 percent). The topic has gained considerable attention in recent weeks after star midfielder Mesut Özil accused the German football association of racism and relatives of the victims of a neo-Nazi murder spree expressed disappointment with what they called institutional bias in the German legal system. The results were perhaps less surprising when Germans of various political stripes were asked whether two classes of immigrants — those who arrived recently and those who have been in Germany for decades — had successfully integrated into mainstream society. Overall, 62 percent of those asked thought that long-term integration had been “very successful” or “successful.” AfD supporters were the only group in which a majority rejected that view, and even among the right-wing populists, 38 percent said that long-term integration had been a success.